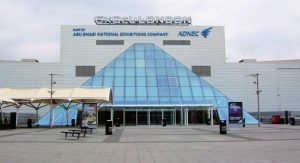 ExCeL is a world-famous exhibition and international convention centre in Custom House, East London. It is located on a 100-acre site on the northern quay of the Royal Victoria Dock in London Docklands, between Canary Wharf and London City Airport. It a multipurpose venue and is home to the ICC London which includes a large auditorium that can hold anything from 10 boardroom style up to 1000 theatre style. Turn left on Mansell St, then take a sharp left onto Tower Gateway.